Bring in the Josh Dance Crew to add flavor to your sangeet or wedding. It is an enviable team of dynamic dancers from Delhi, who bring their unique skills. Whether it is Bollywood-Dancing, contemporary, Salsa or Kathak, each dancer adds their spice to the Josh Dance mix. The team offers an experienced set of choreographers who will make sure that your loved ones rock n roll on your special day. 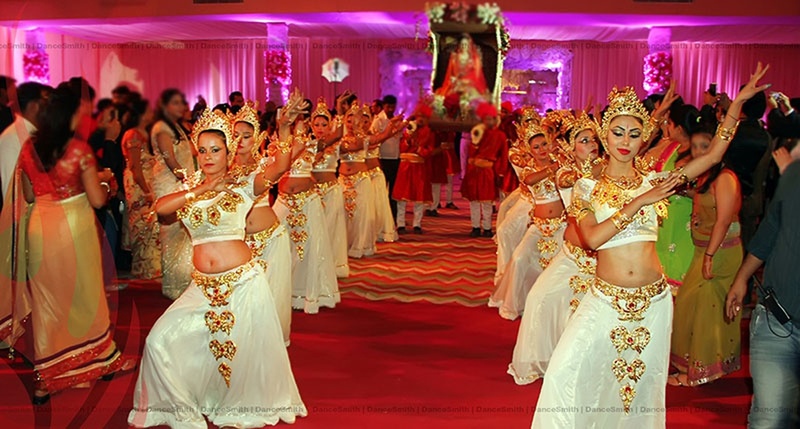 It is even capable of setting your sangeet or wedding on fire with an incredible stage show. Its presence is enough to induce heaps of enthusiasm among your guests and make your wedding a huge success. Josh Dance Crew is a wedding entertainers orchestra based out of Delhi . Josh Dance Crew's telephone number is 76-66-77-88-99, Josh Dance Crew website address is http://joshdancecrew.com/home.html, address is New Delhi, Delhi 110030, India. Josh Dance Crew is mainly known for Entertainment Services. In terms of pricing Josh Dance Crew offers various packages starting at Rs 30000/-. There are 1 albums here at Weddingz -- suggest you have a look. Call weddingz.in to book Josh Dance Crew at guaranteed prices and with peace of mind.